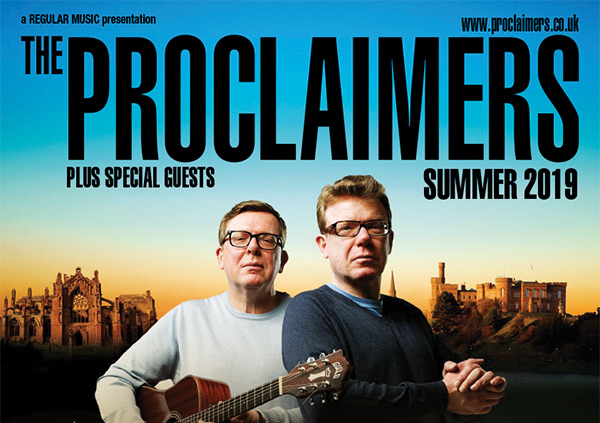 The Proclaimers are currently on their biggest ever sell out UK tour performing to over 80,000 people, part of an extensive 14 months of concerts that takes them around the World. The ‘Angry Cyclist’ tour began in July this year and ends in September 2019. Today we are delighted to announce a string of summer shows in Scotland. 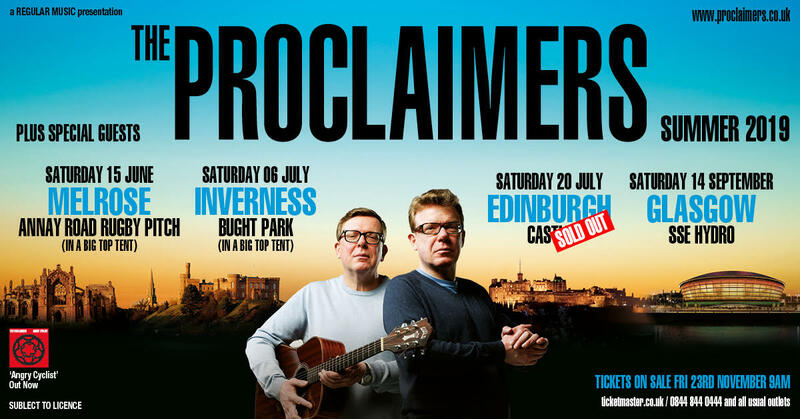 The Big top events in Melrose and Inverness will see gates opening at 3.00pm, with three support acts (to be announced shortly) beginning at 4.30pm , interspersed with a DJ and The Proclaimers on stage at 8.00pm. There will be a Local & Artisan Food Village, other stalls and licensed bars on sites. 2019 will also see concerts so far confirmed for Iceland, Dubai, Singapore, New Zealand, Australia, Norway and further summer festivals and shows in the UK. Friday 23rd November 2018 at 9 am. To help prevent ticket resale, lead bookers names will be printed on tickets and ID required on the night.